Blizzard has just posted a lot of info regarding Heroes of the Storm on Battle.net. Their article explains various parts of the game, such as how to purchase heroes, how to purchase skins, the experience and level progression, and more. To summarize the information on this article, there are several ways to choose a hero to play. There's a weekly rotation of free heroes, all of which are available to play, without cost, for that particular week. However, if you wish to purchase a hero so that they are available permanently, you can do so with gold. Gold is a currency which can be earned by completing in-game goals, daily quests, and gaining player levels. In addition, you may test drive any of the heroes in the game by going to the shop and trying them out. This allows players to buy heroes after knowing what they do, instead of being forced to make a blind purchase. Skins and mounts are purchased with real money, although there are some interesting exceptions. 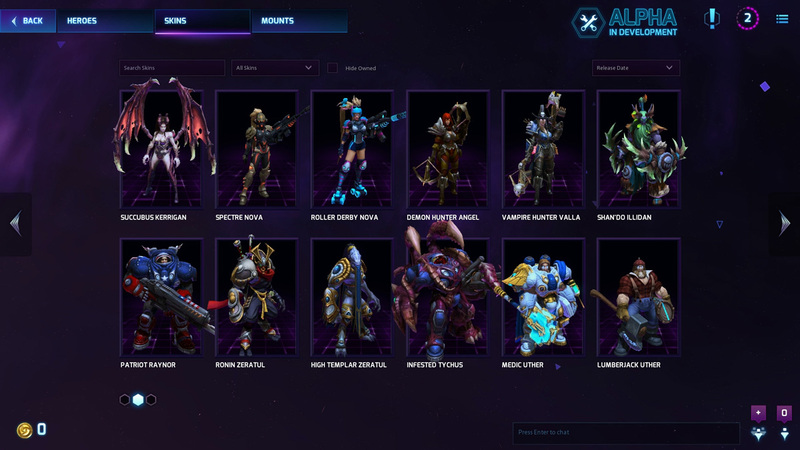 There may be quests in the future which allow you to unlock skins or mounts, and there are also several tints for each skin (including the default skin for each hero) that allows you to look different, no matter your monetary investment into the game. There are also going to be mounts that are exclusive to players who have made a real-money purchase during the alpha and beta phases for the game. By playing more and more matches, you will gain experience for player levels. Getting higher levels means unlocking different features for the game, such as an extra hero in the free weekly rotation, or Hero Quests, or hero skins. Hero Quests are quests for each hero that can be played once reaching level 10. There are three Hero Quests for each hero at level 10, and three more at level 20 that can be completed for experience and unspecified customization options for that hero. To check out the full article, you can click here. Hopefully, the technical alpha will be on its way very soon!